I skipped yesterday's post on "the joys of blogging"... but this probably takes the cake for my FAVORITE blogging moment of all time. 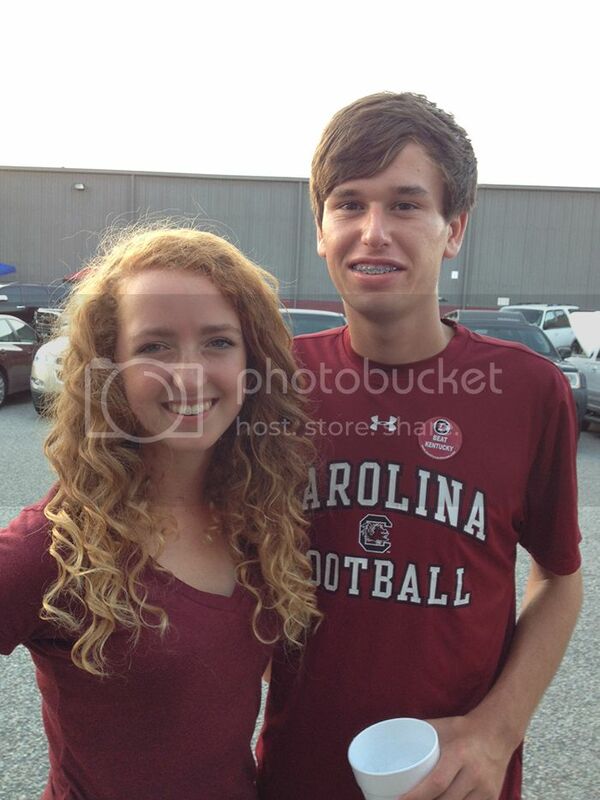 These cuties are Jack and Louisa, from South Carolina. First, I'm jealous of your gorgeous strawberry blonde curly locks. You are absolutely beautiful! Your sweet boyfriend Jack sent me an email to let me know that you love reading my blog, which fills my heart with so much love and joy. Seriously, I cannot even begin to tell you what an encouragement that is to me. I wish I could come on over to see you, take you to lunch, and give you a big hug. Ps. Don't worry everyone, I've already requested that these two send us a prom photo for me to post for all to see. You're welcome. this is literally the cutest thing I have ever seen! adorable!!! OH MY WORD! This is so precious!! I am DYING! so precious! well. this was the most adorable thing ive ever seen. almost made me cry at work. So sweeeet! Oh my goodness! oh my goodness! how stinkin cute! what a little sweetheart! Day Fifteen & Sixteen: A BIG CAREER CHANGE! Day Fourteen: Happy Valentines Day!